These slip-on UGG Classic Mini Metallic Snake Boots have a beige water resistant suede upper with metallic gold snakeskin style detail at the heel. 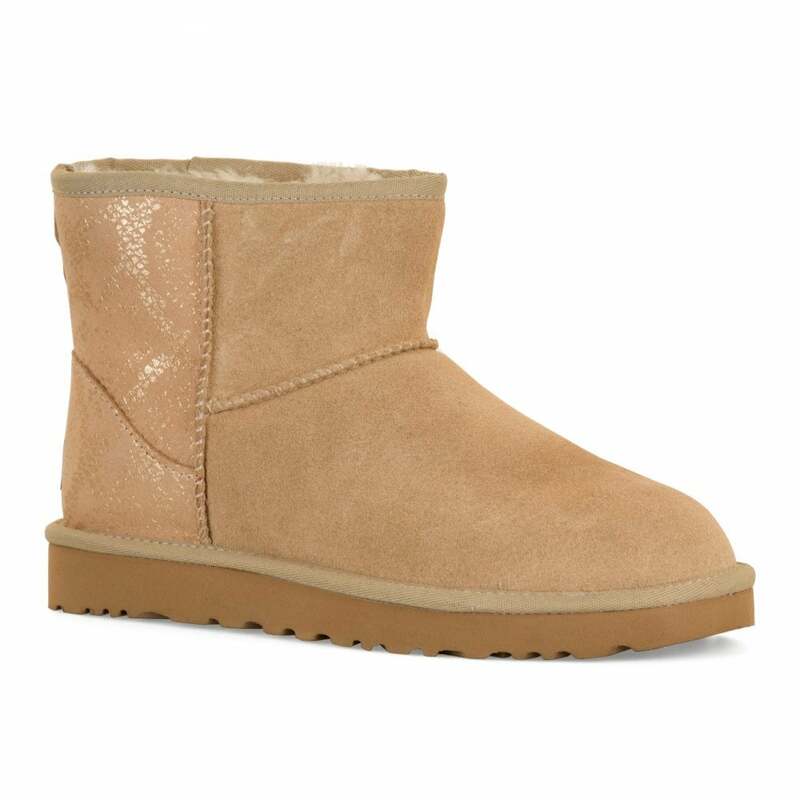 They have a sheepskin & wool lining with a pull loop at the heel on which UGG branding appears. The synthetic tan sole has a deep textured tread for added grip.